A skier descends Little Nell Tuesday afternoon. 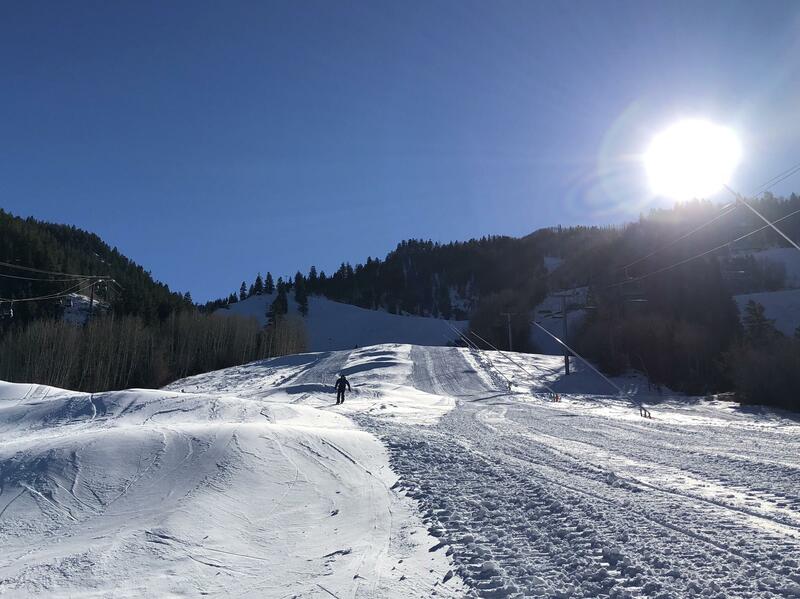 Snowmaking and grooming operations continue as Aspen Skiing Company prepares to open Aspen Mountain on Saturday. Aspen Skiing Company expects top-to-bottom skiing when Aspen Mountain opens Saturday. The combination of above-average early season snowfall and cold temperatures mean an early start to this ski season. SkiCO said the gondola, Ajax Express, Little Nell and Bell chairs will be running. Skiers can expect intermediate runs like One and Two Leaf and Spar Gulch, as well as flash openings of more advanced terrain. SkiCo spokesman Jeff Hanle said a storm Sunday night that brought up to 10 inches to the top of area mountains was key in deciding to open the mountain top-to-bottom. "The storm really was great. It couldn't have come out better, it was more productive than we thought it would be and the cold temperatures are just a bonus," Hanle said. Those cold temperatures contribute to more efficient snowmaking. Hanle said snowmaking operations on Aspen Mountain are more than a third of the way complete for the 2018-19 season.